The Minnesota Horse Council was founded in 1935 as the Minnesota Saddle Horse Owners & Breeders' Association. Its original purpose was to represent the interests of horse owners at the Minnesota State Fair. Although generally inactive for many years, the organization continued to file annual reports and maintained its membership in the State Agricultural Society, but began showing interest in other horse-related areas. education and dissemination of information to horse people. Within a few years the MSHO&BA successfully lobbied for the opening of several trails in state parks and forests. Through the financial contributions by many horse enthusiasts, a feasibility study for the eventual acquisition and development of the Minnesota River Valley Trail System was made which resulted in a dedication in October 1972 -- 38 years after the state of Minnesota ordered the entire Minnesota River Valley to be surveyed as a potential multi-use park area. The MHC has had a history of working for horseback riding trails in Minnesota. In early 1989, a new committee was formed (the MHC Trailblazers) to better address state trail issues. In 1973 the name of the organization was changed to the Minnesota Horse Council to parallel that of its national counterpart, the American Horse Council (AHC), and to reaffirm its industry-wide interests. The MHC joined the AHC for the first time in 1977. During the 1970s, the Council prepared and drafted a model village ordinance to guide horse owners, horse-oriented associations and municipalities in drafting regulations pertaining to the keeping of horses in residential areas. The various sections provided controls whereby municipalities could prevent the keeping and use of horses from becoming public or private nuisances and still protect the horse owner from abuse by others; further, it guided the horse owner in the maintenance of horses in a healthful manner. Some years ago the Minnesota legislature enacted laws to "protect the family farms" from investment by the wealthy as tax shelters. In 1983-84, the legislature ultimately included all horse operations under those provisions -- an action which would have severely curtailed the horse industry in this state. 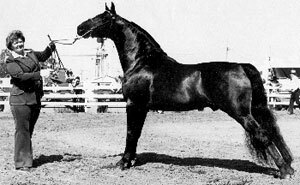 In 1985 the MHC, with the help of an administrative law firm and substantial financial assistance from various Minnesota horse organizations and individuals, lobbied successfully for deletion of "horses" from those laws, thus saving many thousands of dollars in state income taxes for Minnesota horsemen. A temporary organization, the Minnesota Racing Association, was formed in 1981 to promote pari-mutuel horse racing in this state. Members of the MHC took an active part in the MRA and participated in its legislative activity. In 1982, Minnesota citizens voted for pari-mutuel horse racing and, in 1985, Minnesotans witnessed their first pari-mutuel Thoroughbred race at Canterbury Downs in Shakopee. In December 1986, the MHC testified before the Minnesota Racing Commission in support of Quarter Horse and Standardbred horse racing in Minnesota. In 1986, the MHC, in cooperation with the UofM/CENSHARE, completed drafting of guidelines for a stable/carriage operation in a metropolitan setting to be used by any city in the drafting of related ordinances. The MHC hopes to some day finish drafting the second half of those guidelines (carriage driver testing standards) and similar guidelines for riding stables in the future. In 1970 the MSHO&BA established the Minnesota Horsemen's Hall of Fame to recognize an outstanding individual in the state's horse industry. Today the MHC gives out its Horseperson of the Year Award, and recognizes noteworthy horsemen posthumously with the Pioneer Award. In April 1982 the MHC produced its first annual Minnesota Horse Expo in downtown Minneapolis. With the help of numerous volunteers -- members and non-members alike -- that event has become a major equine attraction for thousands of spectators and exhibitors. Each year the MHC works to improve this event in order to bring added monies to its coffers so that additional activities may be funded. The 2007 Expo attendance was well over 51,000. The total Expo monies raised for the MHC since 1982 total nearly $3 million! -- all to the ultimate benefit of the Minnesota horse industry. Thanks to a large bequest by former director Tony Gasser, the MHC was able to award its first $200 annual educational scholarship from the Tony Gasser Memorial/MHC Scholarship Fund in December 1985 to a selected student interested in pursuing an education in the equine field. Since then, the number of scholarships and amounts awarded have risen each year. From 1975 to 1985 the MHC sponsored or co-sponsored up to three annual endurance and competitive rides in Minnesota for the benefit of the MHC, charitable organizations or equine research. In March 1986 the MHC co-sponsored (with the MN Horse Expo and a tack shop) a one-half hour (equestrian-related) radio event on Twin City radio station WMIN (1030 AM). This program interviewed people involved in the horse industry and ran public service announcements about equestrian events throughout the state. Seventy years after incorporation, the Council remains a member of the State Agricultural Society, entitled to three delegate votes at each meeting. The Council's primary interests are the MN State Fair Horse Show and other equestrian usage of the State Fair Coliseum. On March 14, 1988, and October 25, 1988, the MHC arranged meetings with officials of the Minnesota State Fair to discuss ways of improving its show facilities and relationships with horsemen. These were very successful and were continued for many years. The MHC participates as a member of the University of Minnesota Veterinary College's Advisory Committee and the UofM Veterinary Teaching Hospital Committee ("PARTNERS"). The MHC is also a member of the Minnesota Forum for Animal Agriculture, formed in 1985 to promote and improve communications among the various agricultural groups in Minnesota and to provide legislative support on related concerns. From 1985 through 1987, thanks to the sole effort and expense of former director Verne Greenlee, the MHC was represented at annual meetings on a national scale between other state horse councils and the American Horse Council to discuss and suggest answers to related problems. The MHC has continued to maintain this contact.